Walt Disney World is an especially easy place to get in the picture so even if you have hair made crazy by the Florida humidity, say cheese! Oh boy, I was about to melt in the photo below but I'm so glad we captured that memory. Baby Minnie LOVED Pluto. 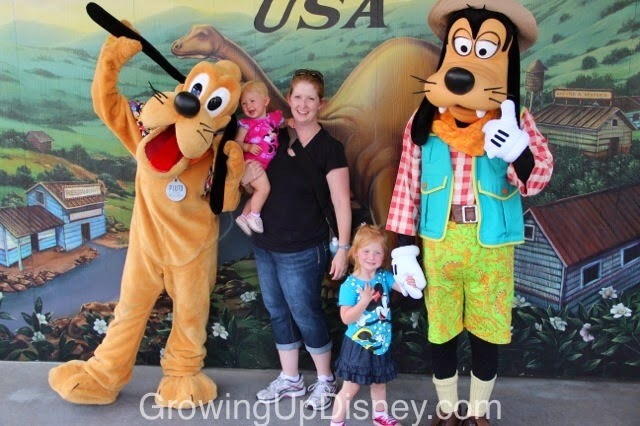 I don't know what it is about Pluto but my girls both adored him at that age. 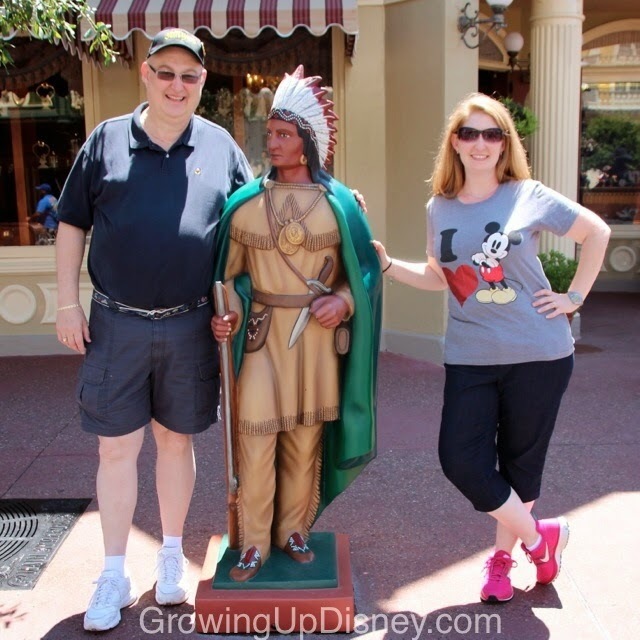 Since you're reading this blog, you're likely the Disney fan and trip planner in your family. That frequently also makes you the family memory keeper and photographer. This certainly describes me. I can look back at my family's photos and I have thousands and thousands of images of my children and quite a few of the girls with my husband. However, unless my dad or brother was around, I'm probably not in the picture. iPhone selfies have helped with this problem, but over the last couple of years, I have made an effort to be included in more of the pictures with my girls. While I now love the portraits of them doing something cute or sitting in front of some landmark, I know that someday I'll share these photos and memories with my children. 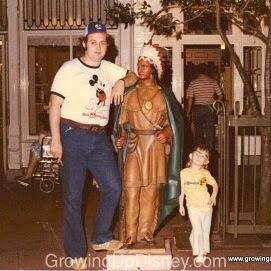 DisneyDad likes to post images from the early days of Walt Disney World and my favorites are the ones of my parents. I especially love the shot of them on their honeymoon in front of Cinderella Castle and the one of DisneyDad and me on Main Street. 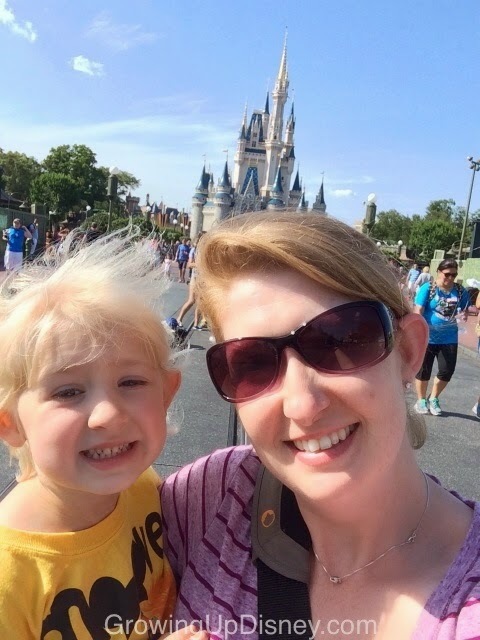 So on your next Walt Disney World vacation, please take cheesy selfies with your kids while waiting for Dumbo to take off. Or ask another guest to take a photo for you on the bridge. 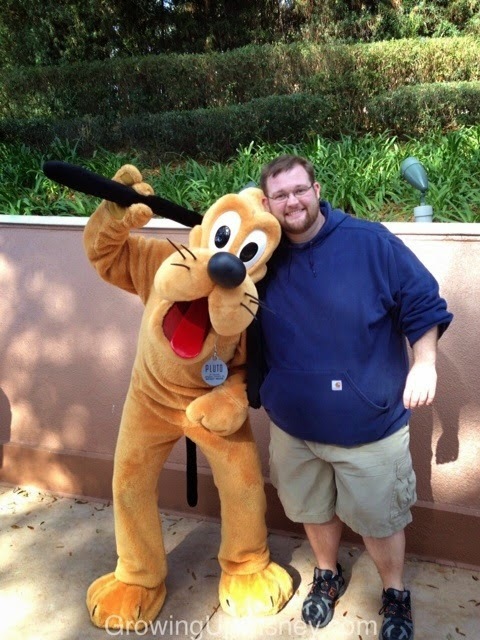 The parks are full of off-duty or former Cast Members, long-time guests who aren't in a hurry and other kind folks who would be happy to snap a picture. 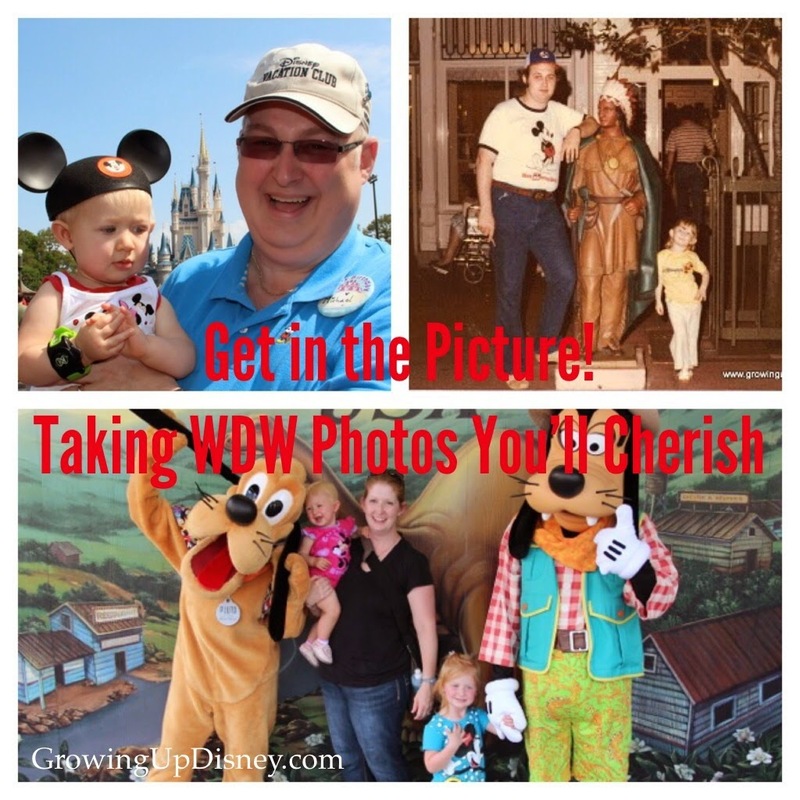 The most obvious way to include your whole group in the memories is to take advantage of the PhotoPass system. Remember to let the Cast Member take shots with both your camera and theirs. 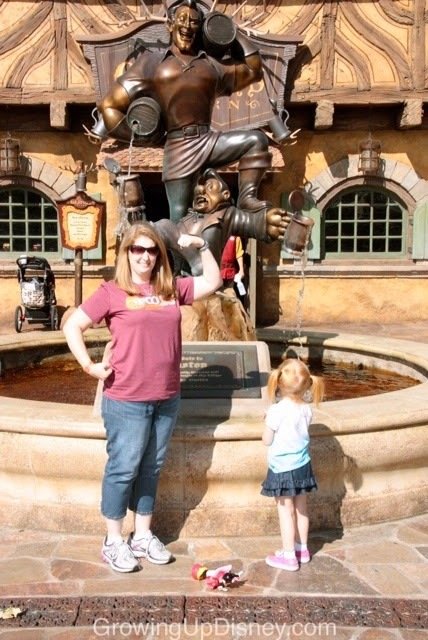 Don't pass up the chance to greet Mickey along with your children and be included in the shot. He's a magical mouse regardless of your age. At many of the character meals, a group photo will be taken before you are seated. Some of these are included in the cost of the meal and others are extra. These images can be a really nice way to get a group shot without the sun in your eyes. I hope you'll find your way into more photos on your next vacation and capture memories you will cherish for years to come. 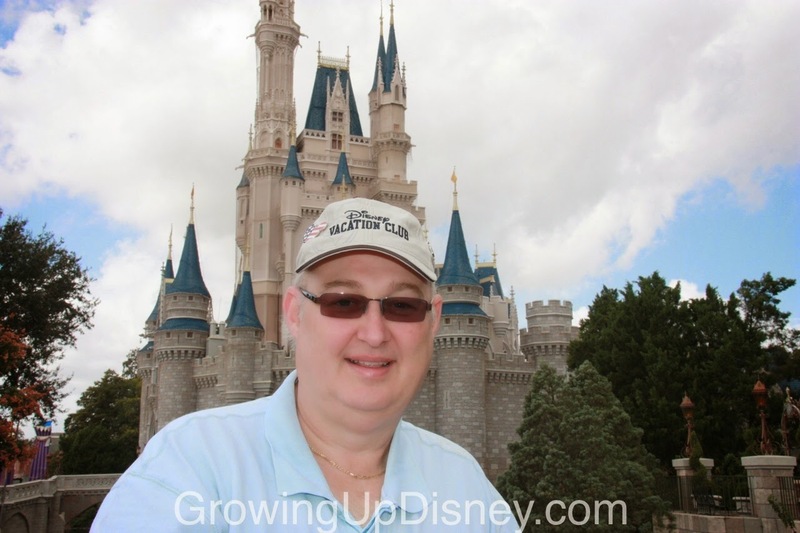 DisneyDad set up his camera and handed it off to Mom for this one. 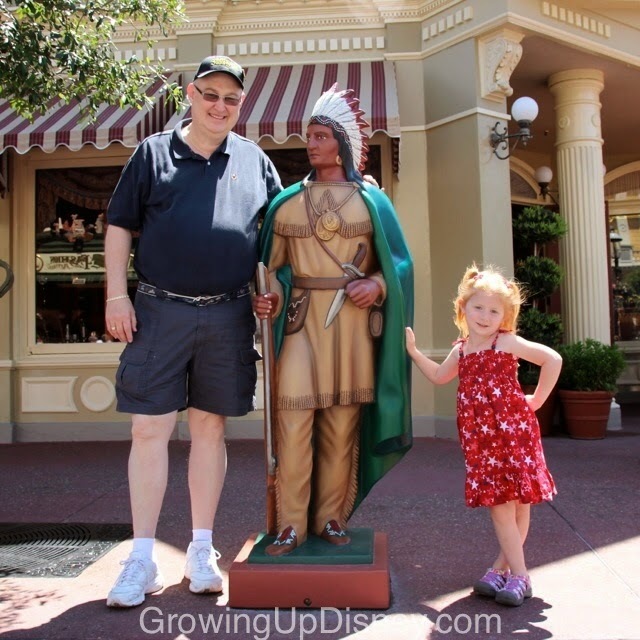 Being silly during the Annual Passholder preview in November 2012. 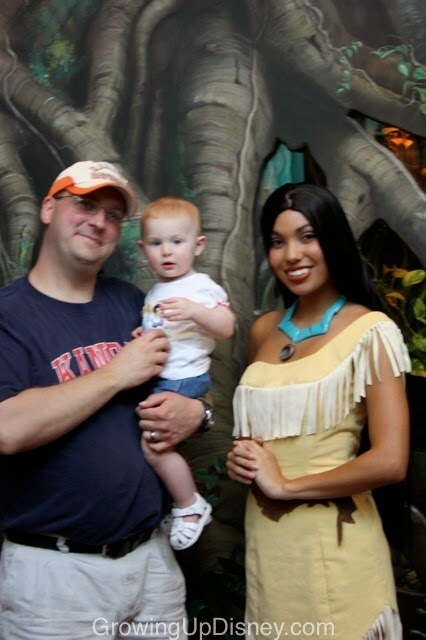 Tink wouldn't cooperate but then asked to do this pose about a year later. One of the great times to get out of the way and let the kids shine. 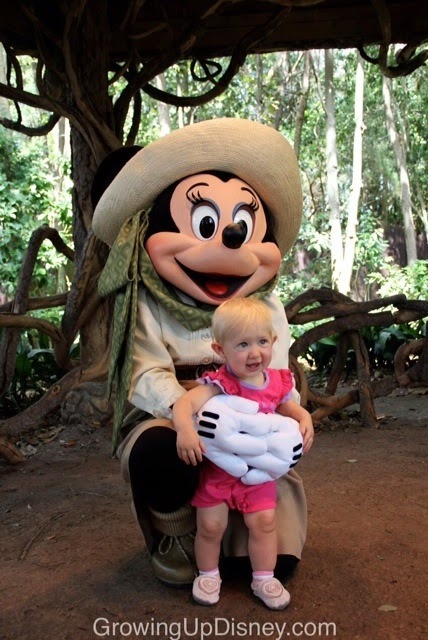 Minnie's first visit with Minnie! 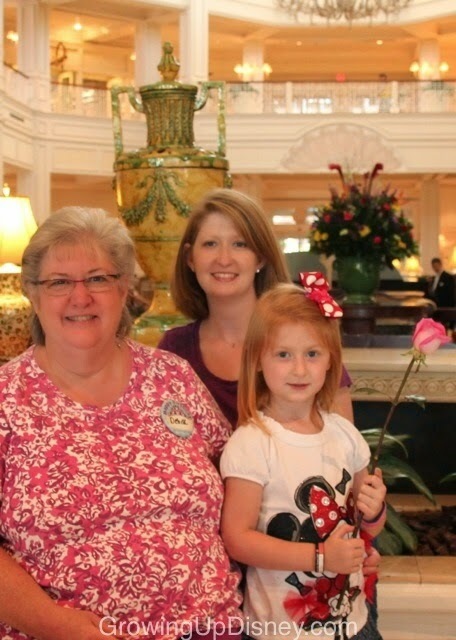 The girls and I took a special trip with my bestie in January 2013. Not my best look but I wouldn't trade this photo. Ridge isn't in all that many shots either. His friend, Shelley, took this one for him. Seriously, Pluto rocks. I'll have to be sure to get Mom and me in the picture together on our next trip. Great article!! I love seeing the photo re-dos years later, so fun! Photo Flashback! Thank You DisneyDad! 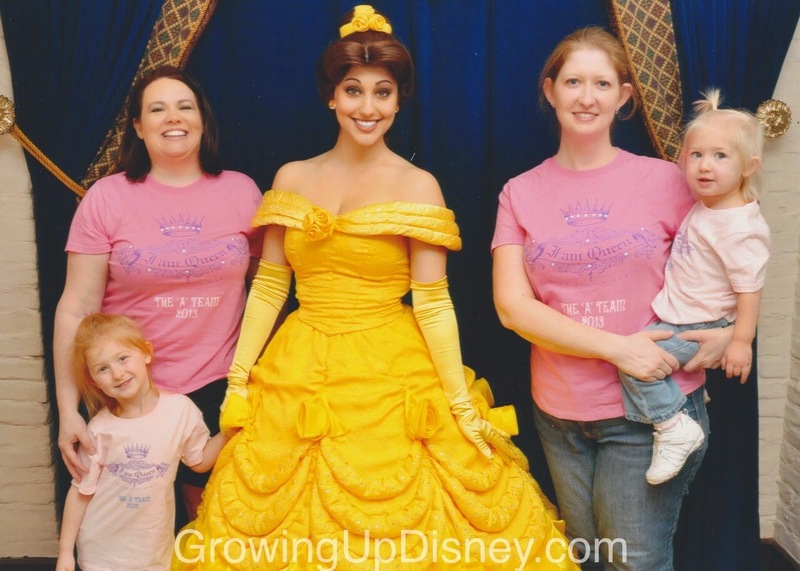 Growing Up Disney is back on line!